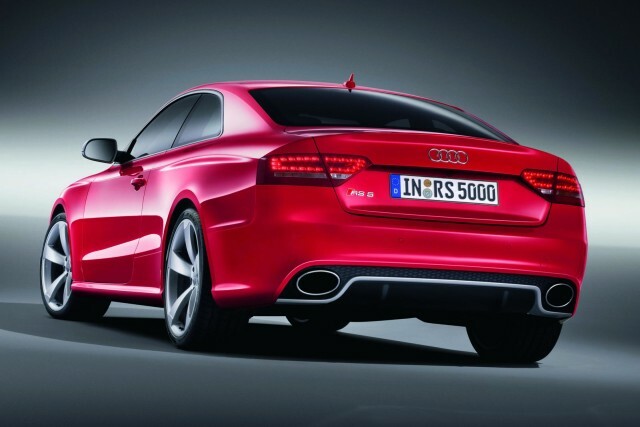 The 2013 Audi RS5 will be launched in India soon as the luxury car maker has started teasing the coupe through its Facebook page. For the 2013 model year, Audi has refined the performance coupe's styling by sharpening up the elements here and there. Based on the A5 Coupe (not available in India), the RS5 is a little longer, wider and shorter. The 4.2 litre normally aspirated FSI petrol V8 of the previous car is retained. The motor pumps out a surplus 450 bhp of power and 430 Nm of torque. Harnessing all that power is a 7-speed S Tronic automatic transmission which turns all the four wheels via a rear biased (40:60) quattro system. Acceleration from rest to ton is dealt with in just 4.6 seconds and the car hits the electronic limiter at 250kph. In international markets, Audi will increase the top speed limit to 280kph on request! The sporty interior is finished in black with red accents. The flat bottomed steering wheel tells the driver that he/she is not driving a regular Audi. The driver info system offers lap timer and oil temperature gauge. Three driving modes are available - Comfort, Auto and Dynamic. 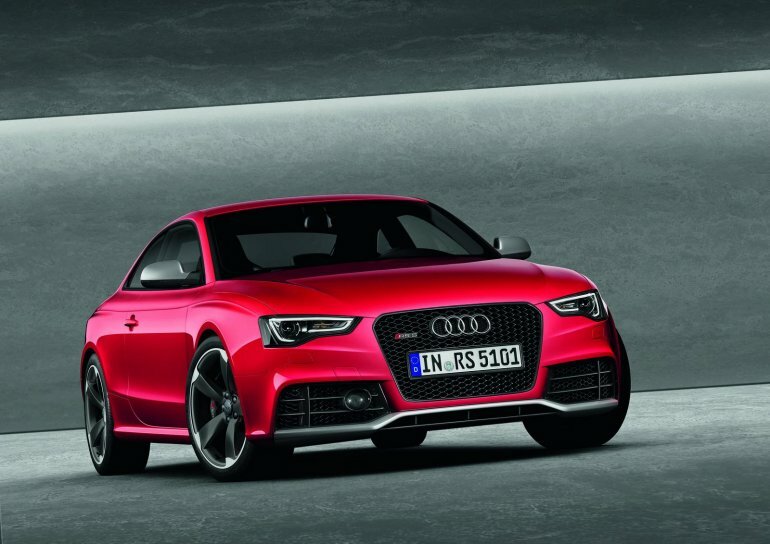 The teaser from Audi India suggests that the updated RS5 is just around the corner.